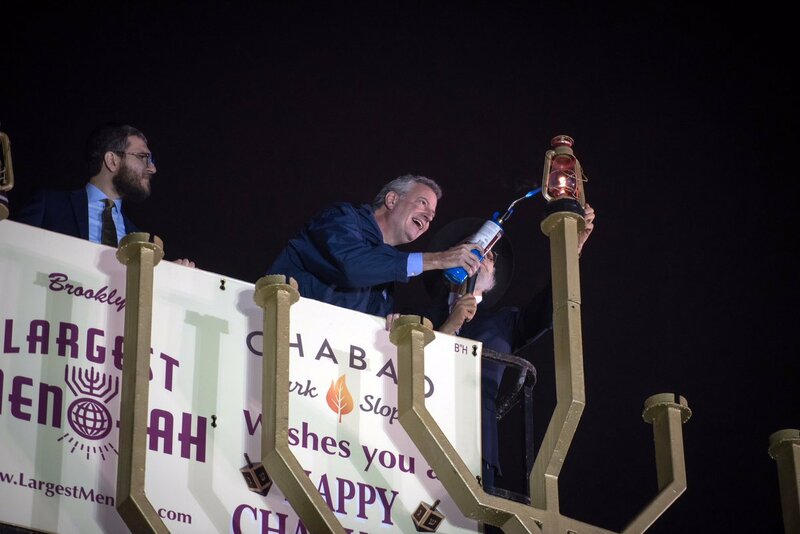 Over 2,500 people braved the rain for the annual Chanukah celebration at Brooklyn’s Largest Menorah. 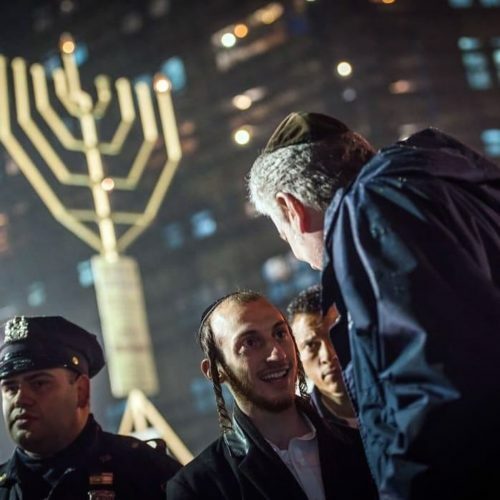 NYC Mayor Bill DeBlasio was honored with lighting the Shamash. 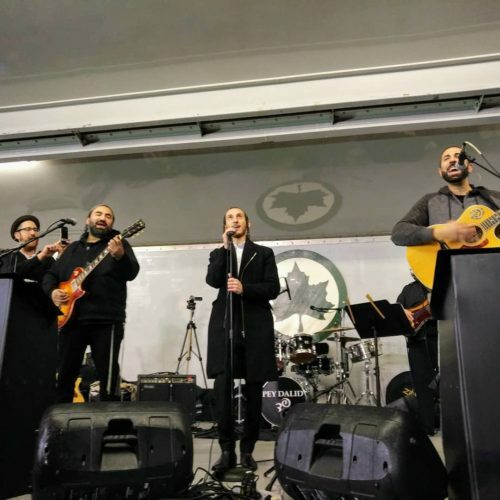 Pey Dalid band and singer Shulem Lemmer performed. Also sharing warm regards was Corey Johnson, Speaker of NYC Council.